This award is open to reception teams of any size working in a clinic in the UK or Ireland. In selecting finalists and a winner for this award the judges will look for evidence of ongoing, outstanding customer service, a continuous training programme, strong practitioner support and effective teamwork for the benefit of the clinic and its patients. There will be no voting process and the winner will be decided by the judging panel. S-Thetics launched in May 2015, and I’m the clinic Founder and Medical Director. We specialise in advanced non-surgical treatments for the face, body and skin in a clinical environment supporting aesthetic wellbeing. S-Thetics is created and designed ‘for’ patients. High standards are our gold standard. We strive to deliver achievable and measurable results, helping patients reach their aesthetic goals. My reception team are patient coordinators, Louise and Krupa. Warm, professional and committed to delivering exceptional patient care, each has worked hard with dedication and positive attitude in taking ownership of their job role. Together with their team, they shape a positive and dynamic clinic culture, felt and experienced by patients. We launched with a zero database, growing from 1575 to 2568 patient in the last year. Receiving an average 5 new enquiries daily and approximately 140 a month, data is analysed weekly using clinic software and presented at monthly meetings. 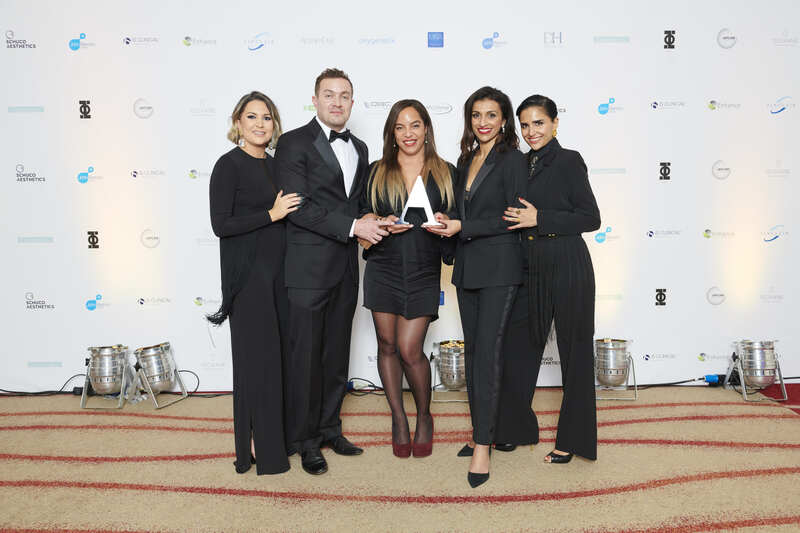 I’m proud of my reception team who have worked hard for S-Thetics to receive recognition from my peers and profession by winning 5 UK aesthetic awards to date. Our Reception Team includes five full-time therapists, knowledgeable about treatments and able to give advice, and two non-clinical members of the team, with excellent customer care credentials. Our lead receptionist, Kerry Inglis, has a background in first-class customer service as part of BA’s long-haul flight team, and Gillian Scott provides great insights into customer needs gained from running her own business. Our specialist receptionists have both been with the company since its inception, and we greatly value them as two of our core team members. In 2013, the Clinical Directors decided all future members of staff would come from the therapist community. This decision benefits Clinetix’s therapists because of the learning-focused work environment. Their presence is of great benefit to patients, who are supported by highly qualified staff, in an unbiased way, during each contact with the clinic whether in person or by phone. The business runs more smoothly because the therapists understand the time required for procedures and treatments. This minimizes waiting times, improving customer satisfaction, and leads to a positive experience for each patient. Customer Service Ethos: To provide a welcoming, adaptable, patient-centric, professionally caring service, based upon equality of treatment. Resulting in a flawless patient journey that inspires confidence and exceeds patients’ needs, requirements and expectations. We include all our staff in internal training events and local / national conferences. It is important that everyone understands our treatments as well as our booking process and service policies. 4600 treatments conducted June 2017-May 18, (+ 15% on 2016/17). We use only the safest and best non-surgical aesthetic treatments to achieve exceptional, long lasting and natural looking results. Providing excellent customer service is about meeting and exceeding customer expectations in a way that leaves them feeling “wowed” and wanting to return. Hannah joined in 2010 and manages the Reception Team. She is trained in numerous treatments, and the whole team benefits from her extensive knowledge, ensuring patients have the best possible experience. Sian has over 20 years’ experience in Reception roles. She delivers a 5-star service to all patients, providing a warm, professional welcome and answering questions related to skin, face and body treatments and skincare products. Jackie has over 25-year experience as an Executive Assistant. She capitalises on her previous admin and people facing skills while gaining knowledge in the medical aesthetics arena. Poppy has 5 years’ experience working in the beauty sector where she found her passion for non-surgical aesthetic treatments while providing an excellent customer experience. Cliniva Medispa is a clinic designed to high specification meeting the expectations and demands of its modern-day clientele. Its ambience is total in its appeal with modern furnishings and relaxing music. Even the magazines available are inclusive in their range and choice not forgetting to cater for our younger through to older clients and the male client as well. There is also a wide range drinks menu. Drink options such as latte, cappuccino, hot chocolate, cold drinks and even Skinade is offered as an option. The reception personnel consist’s of three ladies. Each member of reception team has experience of working in the beauty industry and this is reflected in the very positive feedback from clients. Our reception team are professional in appearance from deportment, makeup, and matching uniform. Each is well spoken with good communication skills and courteous. They have knowledge of all treatments and products on offer from the clinic. They are aware when they may need to refer clients on to practitioners within the clinic. They have the ability to build up relationships of trust with our clientele including the crucial need for confidentiality. On average the reception team will each see fifteen to thirty clients a day. The reception team have the duty to support three aesthetic nurses, a specialist in microblading, a therapist offering facial and massage treatments, a professional make-up artist and a nurse who specializes in semi-permanent make up. Many of the clientele have been attending for treatment for several years previous and have therefore built a good and trusting relationship with Cliniva Medispa. The reception team is at the forefront of our business. They are the first point of contact for clients, either by telephone, email or face to face. Our reception team are extremely customer focused and strive to ensure that every client who walks in the door is put at ease and receives a warm welcome. Our reception team are responsible for ensuring that each patient journey runs smoothly, from initial enquiries, providing treatment information and booking appointments to taking payments, dealing with aftercare and any queries or concerns that they may have. As a company we strive to ensure that each and every client, old or new, is treated on an individual basis, allowing our team to build a rapport with them and immediately putting them at ease. On average, we treat between 100-125 clients per week and ensuring their experience is enjoyable from start to finish plays a huge part in client retention. Each and every staff member here at the clinic is trained in Front Of House Duties to ensure that clients receive the same quality service no matter who is on the desk, something they often comment on. Outline Clinic was founded in 2001 by Nurse Prescriber Mary White. Based in the impressive St Peters Manor, a building dating back to 1618 in Droitwich, our clinic enjoys a stunning location; it is a luxury, elegant yet homely and inviting, family run business. With a patient base of approximately 2600 patients and 4 fully equipped treatment rooms, including a laser suite, Outline Clinic is supported by a dedicated team of 9. The team is led by Mary, which means that as clinic owner she has a vested interest in making sure that patients are happy and satisfied with their treatment 100% of the time. Mary’s exacting standards and commitment to continued excellence are at the heart of the clinic, and research and on-going training is all part of the quest to stay at the forefront of aesthetics. Our ethos is to provide the highest standards of customer service, care and safety. We ensure every patient enjoys the benefit of one-to-one, individual attention. Our team understands the importance of putting our patients at the centre of everything we do. We understand our patients and listen to their needs, and recognize that our team is the face of Outline. Our team are the guardians of our reputation and ultimately support our success. Our passion is to deliver exceptional standards each and every time, as patients value not only exceptional medical care but also prompt appointment times and excellent service from the whole team at every visit. Premier Laser & Skin Fulham is an established, luxury aesthetic clinic offering a wide variety of laser, skin and beauty treatments including Laser Hair and Tattoo Removal, Injectables, HydraFacial, advanced peels and facials and the best in aesthetic retail lines. 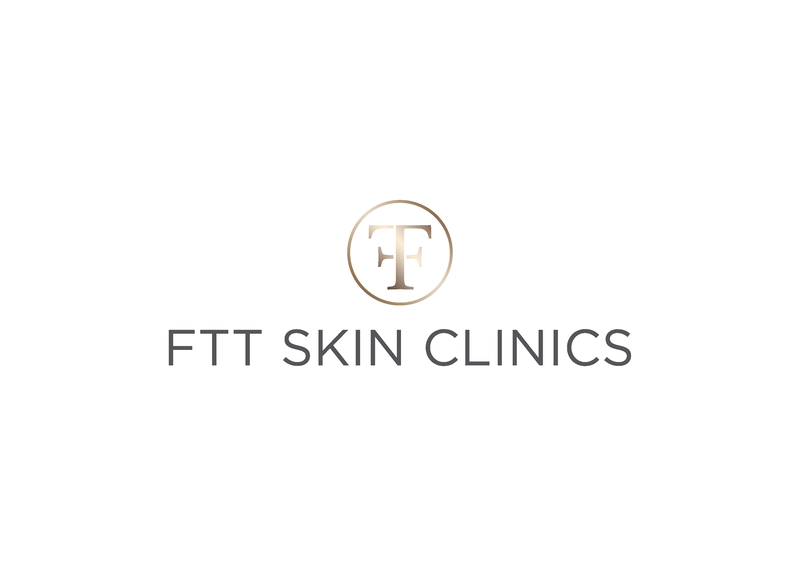 The Fulham team includes three highly experienced aesthetic practitioners, an Aesthetic Nurse Injector, and an exemplary reception team consisting of Joanne Cooper and Deanne Haffeneen. Premier Laser & Fulham clinic has successfully treated over 5,000 clients in the past 9 years, providing cutting edge services to the Fulham community and delivering results for loyal, happy clients. The reception team Joanne and Deanne stand out as the best reception team in the aesthetic market due to their steadfast commitment to customer care. Nothing is too small a job for them when it comes to client support, and the result of this ongoing commitment shows in the feedback the clinic receives day in and day out. Not only are they committed to customer service, but their efficiency in following strict protocols and pushing business strategy has meant the clinic is constantly reaching new heights in financial success. Sarah White Aesthetics is a flourishing clinic set within a Spire Hospital in the North of England. The clinic offers a wide range of treatment options from skincare products and injectables to laser, ultra sound and radio frequency rejuvenation to allied professional input where necessary. The front of house reception team comprises 2 staff, Kiki Dee Grant and Nicole Davies under the auspices of Manager Claire Murphy. All have backgrounds in retail, customer service and administration. The Clinic performs an estimated 7,000 treatments per year. There are 3 injectors and 4 highly trained therapists as well as a Consultant vascular surgeon and a cosmetic dentist. The receptionist is generally the first port of call for clients and the standard of customer service is high. Our customer service ethos is to provide a friendly and welcoming haven, with a positive attitude that informs every client that his or her interests and needs are paramount. From the first point of contact to making the review appointment everything possible is done to ensure a client’s comfort, ease and assurance of professional care. Our receptionists are dependable, have excellent organisational ability and above all are good listeners. They occupy the reception area, refurbished courtesy of SkinCeuticals, which has comfortable seating for clients, facilities for the provision of refreshments, surrounded by a range of skincare products, treatment information leaflets and general reading materials.